Offering shopping vouchers to pregnant women who smoke may help to encourage them to quit, research has found. Scientists at the University of Stirling and Glasgow University carried out a study involving 612 women who were between 16 and 24 weeks pregnant. The study was aimed at finding out whether financial incentives can help deter pregnant women from smoking. As well as not smoking and eating healthily, women who are expecting should arrange pregnancy travel insurance if they are planning a holiday. Participants were divided into two groups, with both being offered the NHS Stop Smoking services and one group being given £400 in shopping vouchers if they gave up the habit while they were pregnant. Those in the shopping voucher group had to commit to an appointment in person and decide on a date by which they had to quit smoking. They were initially given £50 and then handed further vouchers worth £50, £100 and £200 if they managed not to take up the habit again for up to 38 weeks after the agreed date. A nurse tested those who claimed to have stopped smoking before they were rewarded with the vouchers. At the end of the study, it was found that nearly one in four (23%) women in the voucher group had given up smoking compared with only around one in 11 (9%) in the other group. The findings of the research have been published in the British Medical Journal. The authors of the report wrote that smoking in pregnancy is one of the main preventable factors behind ill health and deaths in newborns and new mothers, both in Britain and in other countries around the world. 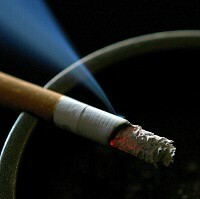 They added that existing interventions such as the NHS Stop Smoking service are not very effective, and argue for financial incentives to be added as a "promising and potentially cost effective new intervention" to current services.